Preheat oven to 400°. Stir together flour, baking powder, and salt. Mix milk, egg, oil, and sugar together well. Add this mixture to dry ingredients. Stir just until moistened. Let sit while mixing streusel (recipe below). 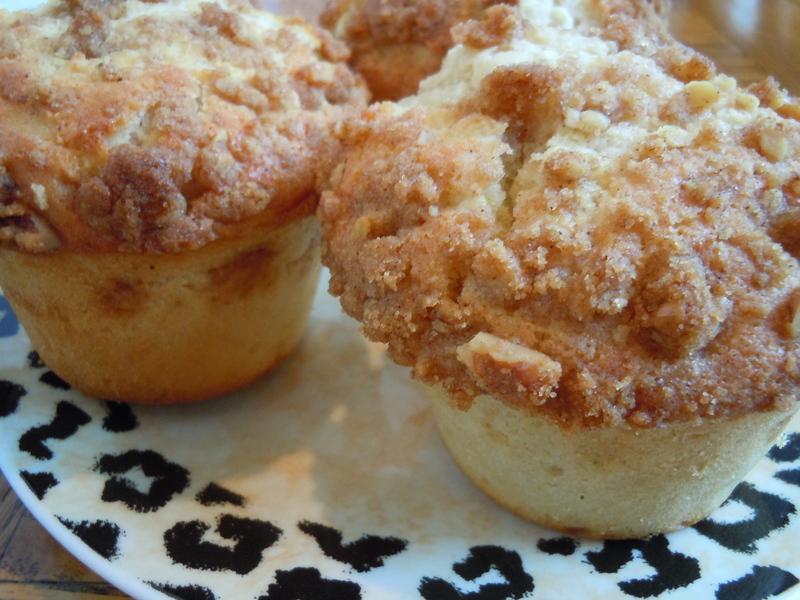 Fill six muffins cups with batter half full, sprinkle with streusel. Fill with batter almost to top and sprinkle with streusel. Bake for 20 minutes. This makes six large muffins, usually I double the recipe to make twelve large muffins because they go so fast. They SO are and I can’t wait to make them! I’m so lucky to have a friend with such wonderful baking skills!